Don’t time the market. Invest according to the quality of an investment and whether it is fairly priced, based on its fundamentals. The right thing to do is to never buy according to where you (or others) believe the market is heading. This is said to have been an old Wall Street joke. The newcomer asks a grizzled veteran, "How do I make money on the stock market?" The old master replies, "Why, that’s the simplest thing: buy low, sell high." So the young man asks, "Yes, but how do I do that?" The veteran replies: "That’s very difficult. It takes a lifetime to learn." Not a great joke, but it rings true. 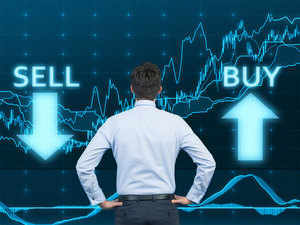 It seems almost self-evident that the interpretation of ‘buy low, sell high’ is to buy when the markets have fallen, as they have over the last few months. Investors and advisers are universally of the opinion that a ‘correction’ (a foolish euphemism) is the right time to buy. As proof, one can look back and do all kinds of calculations showing that investors who bought when the markets had dropped made more money than those who did so when the markets were high. Such calculations, of course, are a prime example of 20/20 hindsight. When the ‘correction’ happens and the market becomes correct (I’m extending the euphemism), how do you know that it’s not going to become even more correct? And, then, what happens if it becomes extremely correct? How long will you wait for it to become incorrect again? The correct answers to all these questions are crystal clear when you are interpreting past events, but it’s little more than guesswork, when you are trying to look into the future. However, the real reason why this approach is less than ideal is different. The moment we say that we must invest because the markets are dipping, we are effectively telling ourselves that when the markets are not rising, we should not invest. Perhaps we should even sell our investments and then wait for the decline. That seems like a logical and sensible thing to do. Buy stocks or invest in equity mutual funds when markets fall. And if it’s a good idea to buy when the markets are diving low, then the corollary—to sell when the markets are zooming up—must also hold true. Both steps seem to be exactly what will lead to higher returns, right? Superficially, it all seems to make sense. Actually, it does not. The right thing to do is to never buy according to where you (or others) believe the market is heading. You need to invest according to the quality of an investment, and whether it is fairly priced according to its intrinsic characteristics, and not by guessing either that investment’s or the market’s future momentum. More than a century of experience has shown that trying to time the market is no better than acting randomly. This is even truer in the kind of knee jerk volatility that has become common in recent years. Professional punters may do whatever they want to, but for mutual fund investors, the path is absolutely clear. They should choose three or four equity funds with good long-term track records and invest steadily through SIPs, and not bother with market crashes. The whole point of investing in a mutual fund, either through an SIP or otherwise, is to continue doing so in bad times. You do not know anything about the future. You do not know when the market will correct and when it will incorrect. You do not know how suddenly any of that could happen. All that you know, with a high degree of confidence, is that if sustained over years, equity investments will bring great returns, coupled with great volatility. The only way to use this combination of great returns and great volatility is to keep investing continuously, regularly and steadily, without interruption.